Officials of the Memorial Tournament presented by Nationwide announced today that the Tournament has accepted commitments from major championship winner and World No. 3 Jason Day and Olympic Gold Medalist and World No. 8 Justin Rose to compete in the 42nd edition of the Memorial May 29 – June 4 at Jack Nicklaus’ world-renowned Muirfield Village Golf Club. The latest commitments give the Memorial Tournament seven of the top 11 in the Official World Golf Ranking, already making it one of the best fields of the year. Day has become a solid fixture atop PGA TOUR leaderboards since winning his first title in 2010 at the HP Byron Nelson Championship. Since then he has posted 13 top-10 finishes in major championships alone, including three out of four last year. Day finished T10 at The Masters Tournament, T8 at the U.S. Open and second at the PGA Championship, the event he captured in 2015 for his first major victory. He recorded a total of 10 top-10 finishes in just 20 starts last season, including three victories, one of which was THE PLAYERS. The 28-year-old Australian native, now living in Columbus, Ohio, has been a member of three International Presidents Cup squads (2011, 2013 and 2015) and has PGA TOUR career earnings of $35,723,542. His four top-25 finishes this season place him No. 3 in the world and No. 99 in FedExCup points. Day will be making his ninth start at the Memorial. He matched his best finish at Muirfield Village Golf Club last year when he tied for 27th, a feat he first accomplished in 2009. Day’s Tournament earnings stand at $176,226.44 and his scoring average is 72.23. 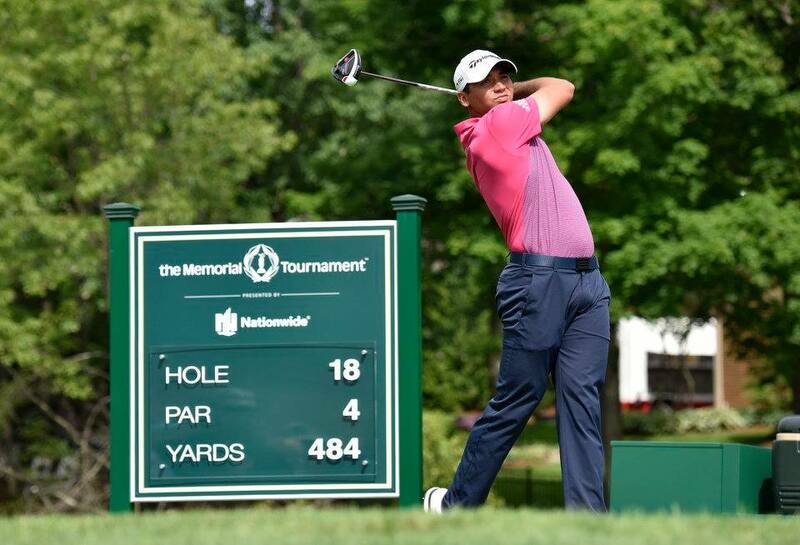 Rose, 36, will make his 12th start at this year’s Memorial, where he is ranked third on the Tournament’s career money list with $2,868,220, and 10th in scoring average with 70.92. His playoff loss to David Lingmerth in 2015 was his sixth top-10 finish at Muirfield Village Golf Club. In the 2016 Olympics in Rio De Janeiro, Rose became the first Gold Medalist in golf in the Olympics since 1904. A resident of London, England, Rose has recorded seven career PGA TOUR victories, including the 2010 Memorial Tournament presented by Nationwide and the 2013 U.S. Open Championship. He has posted four top-10 finishes in nine starts this season, including a pair of second-place outings. His first runner-up came in his season opener at the Sony Open in Hawaii. The second was a dramatic playoff loss to Sergio Garcia in the Masters. Rose is No. 8 in the Official World Golf Ranking and No. 10 in FedExCup points. His career earnings on the PGA TOUR total $39,482,554. Before the 72-hole stroke-play competition begins on 7:30 a.m. EDT. This event will feature the top players from the Tournament’s field of competitors and also serve to highlight the Nationwide Children’s Hospital Patient Champion Program. The Patient Champion Program is designed to recognize the strong, driving spirit and optimistic outlook of each patient that inspires not only their family and loved ones, but also the entire community. Eight Patient Champions from Nationwide Children’s Hospital will take center stage on Wednesday as they meet PGA TOUR professionals and enjoy a full morning of VIP Tournament experiences. These inspiring children will also have the opportunity to meet special Nationwide guest, former NFL quarterback, Peyton Manning. The two-time Super Bowl champion will be playing in the Nationwide Invitational for the second straight year. In other Tournament news, Pavilion badges for the Memorial have officially sold out. Fans who purchased the premier badge will have indoor and balcony access along the 18th green. Plus a breakfast and lunch buffet is offered for purchase with a cash bar. The Pavilion provides private restrooms. Additionally, the Golden Bear Club is nearing a sellout, and badge availability is limited. The Golden Bear Club is an upgraded badge providing access to a sports bar located between Hole No. 10 fairway and Hole No. 14 green. Food from an enhanced menu is offered for purchase along with a cash bar. There are numerous televisions and private restrooms. Memorial Tournament patrons that have purchased the upgraded Golden Bear Club badge will also have a chance to play Jack Nicklaus Perfect Golf, a realistic golf computer game on a SkyTrak powered golf simulator, and can compete in a virtual closest-to-the-pin contest on the par-3 12th hole at Muirfield Village Golf Club. Daily contest winners will receive Nicklaus Golf Balls, and the overall champion will have a chance to win a Jack Nicklaus-autographed pin flag. In related news, the Tournament is featuring several venues and attractions that have been designed to appeal to all patrons. Whether patrons simply love being outdoors, enjoy the social scene at one of central Ohio’s largest sporting events, or are a die-hard golf fan, attendees will have a variety of experiences throughout the golf course to choose from at this year’s Memorial. The Patio at Patron Village is an area open to all Tournament patrons. It is located between the Memorial’s 10th fairway and 14th green. The Patio is an ideal spot to hang out, and it includes outdoor games like corn hole and a custom golf experience called the Bunker Challenge. Take a picture with friends at the selfie wall, check out the Lexus Car Display, and choose from enhanced food and beverage options, including Beers of the Memorial and the Patrόn House. Looking to lounge and have a great view of one of the best par-3 holes in golf? The Hill on No. 12, located on the Memorial Tournament’s signature 12th hole, offers brilliant views of competition at one of the most picturesque spots at Muirfield Village Golf Club. Patrons can relax in Adirondack chairs and not worry about missing a minute of the action, or even leaving their seat, thanks to the available chair-side wait service. For those who are looking for the perfect place to stop after Tournament play, The 19th Hole at the Memorial Tournament is a new venue open to the public, 4 – 8 p.m.Tournament passes are not required and there’s no cover located near the Memorial’s Sixth Tee entrance/exit off State Route 745/Dublin Road. This will be a sports bar environment complete with a beer and wine patio, food trucks and live music. Pub 18 is a great place for patrons to pick up a favorite drink and a bite to eat while watching Tournament play or just hanging out in a relaxing spot conveniently located at the heart of the back nine crossroads. Likewise, fan can take advantage of the shade at the Championship Pavilion, a covered, open-air venue. Grab Tournament merchandise in the Pro Shop, or continue to watch the action on TVs in this family-friendly spot with plenty of seating. Food and full-beverage service are available in this popular location across from the Tournament’s main entrance. The 2017 Memorial Tournament presented by Nationwide is scheduled for Wednesday are also available. The cost is $35 and they are valid for all three practice-round days.